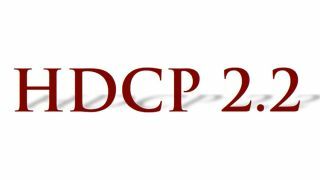 HDCP 2.2 is the latest standard in protecting digital content as it travels from a source to one or more displays. HDCP 2.2 is prevalent in the 4K video world where content owner’s rights must be protected by a more stringent encryption method as compared to HDCP 1.4 that was broken several years ago. HDCP 2.2 protected content can be flagged to be one of two types: Content Type 0 and Type 1. The difference between these content types has to do with whether re-encryption with lower HDCP version (such as 1.4) is permitted by devices en-route to the display. Repeaters, Splitters, and Switches can conceivably accept HDCP 2.2 on their inputs and output them as HDCP 1.4 if the content is flagged as Type 0. So it may become important to know the content type of your HDCP 2.2 encrypted source video if all of your equipment in an installation cannot handle HDCP 2.2. The Hall Research Video Generator/Analyzer, for example, can be used to ascertain the content type of your source. Power OFF all the equipment in the installation. Make sure all the cables are properly connected in the setup. Power ON the HDMI repeaters, splitters, switchers etc. in the system. Power ON the source to re-negotiate the HDCP keys properly. Electrical engineers Ali Haghjoo and Zeeshan Kabeer contributed to this content.